The waterspout photo is almost certainly a fake. I did wonder the same thing initially. I was convinced otherwise by the fact it appeared in the most reputable scientific journals of the time and is also it is similar in quality to some other early photographs of tornados. 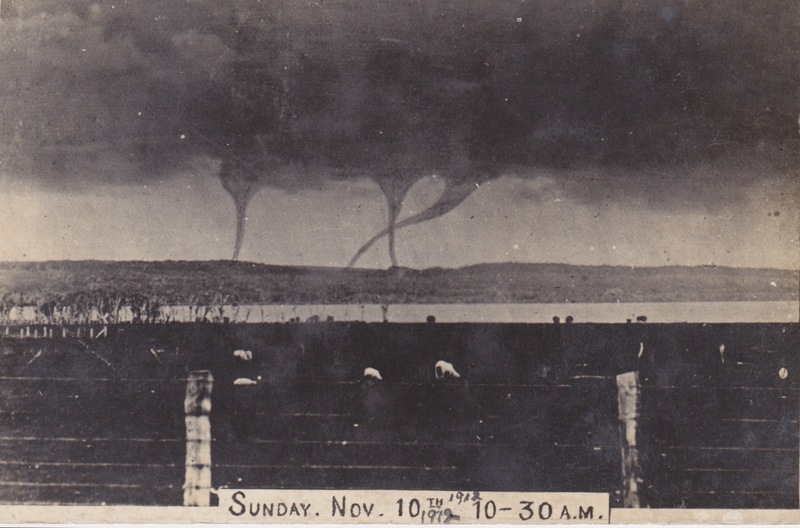 It wouldn’t surprise me if the postcard manufacturer has “tweaked” the waterspouts to appear more dramatic, but I don’t believe the image to be fake but more likely the result of the shutter speeds of the camera of the time – remembering also that the photographer was an amateur in a very remote location and likely only had very basic equipment. The one way to prove either way is to find the original negative, or at the very least a high quality print. Unfortunately these seem to have been lost to history, but one can hope one will show up. Thanks for the local’s perspective Shenelle! I’m envious, both of the fact you are from the Chathams (I’d love to visit there one day!) and also that you’ve seen multiple water spouts with your own eyes! I don’t think it is a fake either. The best way to prove it would be to find an original negative of the photo, or at the least an original print. I’m hopeful that one might show up somewhere….In any event it is a genuinely cool bit of history.